We have reached a very important stretch of the month. It is Sloan’s birthday week! As we countdown the days until she turns 1, I thought I would countdown my 10 favorite moments from her first year. Some of the moments on this list are specific while others are more abstract. You will see what I mean. 10. Color Me Pink – Sidney and I switch off waking up with Sloan on the weekends. One morning on my day to sleep in, I awoke to Sidney walking in the bedroom with a pink fur ball in her arms. It took me a couple seconds to become fully conscious and for my eyes to focus. 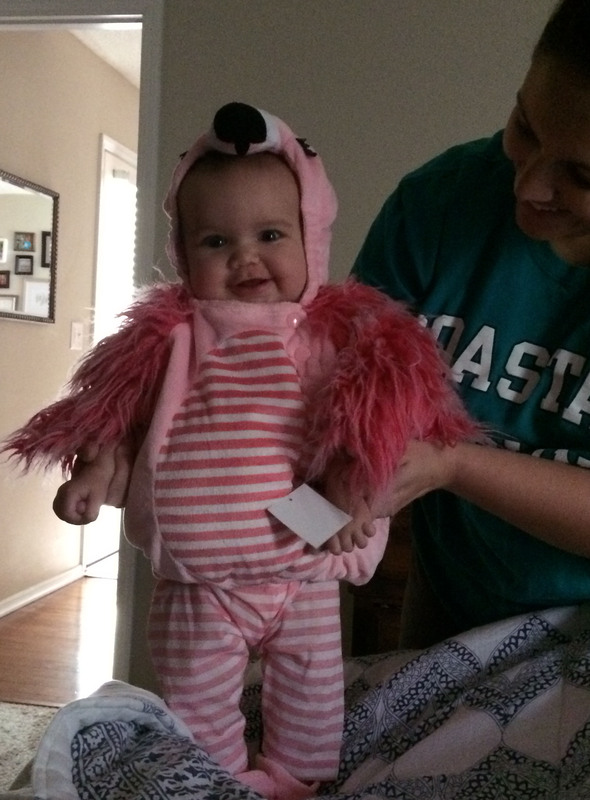 Once I was alert, I could see that my sweet baby daughter was dressed as a flamingo! Making this scene even better was the fact that Sloan had a smile on her face. Sid surprised me by having Sloan model her Halloween costume and it was the best way to wake up. This is a photo from that exact morning when Sid/Sloan surprised me with the flamingo costume. Made my day! 9. 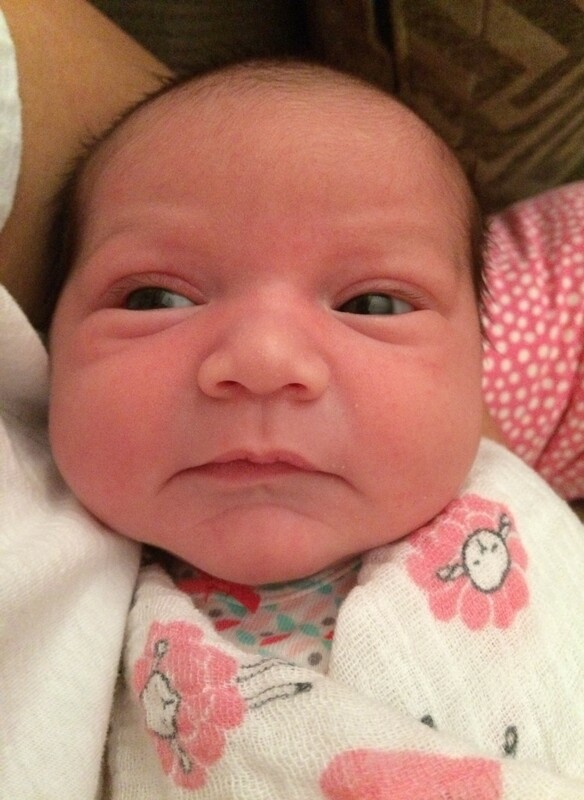 Swaddle Off, Arms Up – During the first several months of Sloan’s life, we would swaddle her before she went to sleep. When our little darling woke up in the morning, we would remove the swaddle and her tiny arms would shoot right up as she closed her eyes and stretched so hard. It was adorable! Watching Sloan stretch after we took off her swaddle was always rewarding. 8. 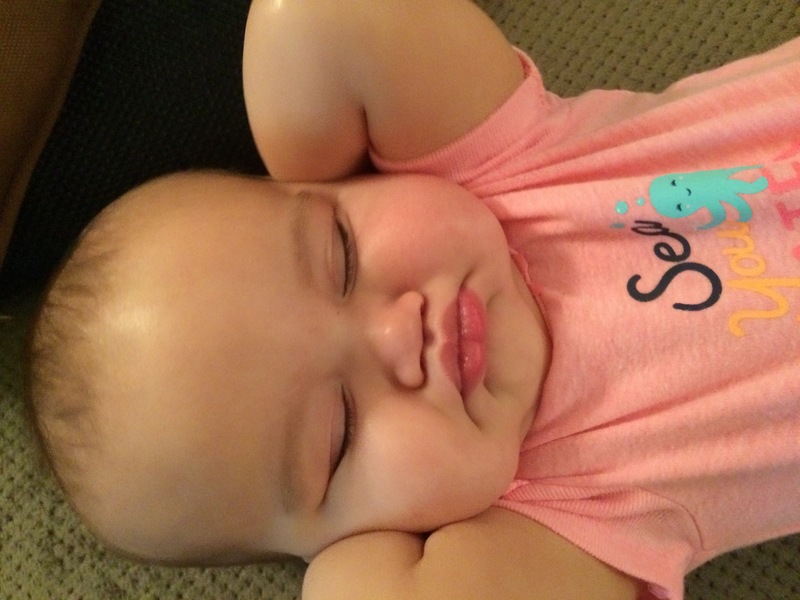 That Face Though – My heart just about melted. Sloan was probably 2 weeks old and Sid was finishing up bathing her. I was in the living room when I heard Sid sweetly say “Daddy…”. I looked up as my wife walked out the bedroom door toward me in the living room. Sid was holding Sloan who was wrapped tight in a swaddle. I held out my arms and Sid handed over that small, sweet, fresh smelling baby. This is what I remember the most: Sloan was sucking on a large, clear pacifier that seemed to take up half her tiny face. Her cheeks moved out and in as she sucked away. It was the cutest thing I had ever seen and a moment I will never forget. 7. 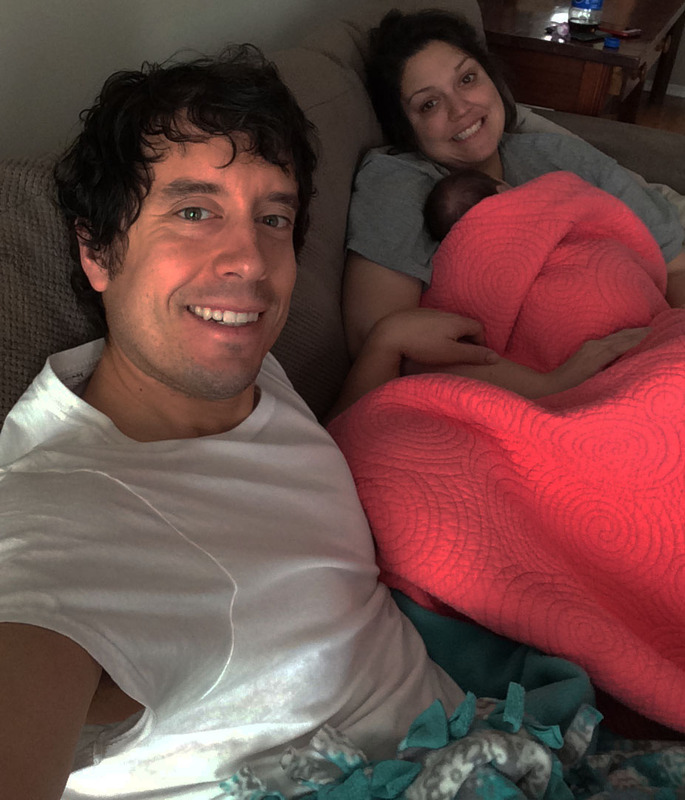 Late Nights/Early Mornings With My Girls – During those first couple months of Sloan’s life, she would wake up a couple times during the night. Sid and I both insisted on getting up with her. We would sit in the dark living room and feed her while we watched music videos (before Sloan’s addiction to BabyFirst TV). The music would slowly soothe her back to sleep as her parents admired their cherished daughter. It was a great way for the three of us to bond while also giving us parents a comprehensive education of the Billboard Top 40 landscape. Watching music videos and hanging with Sloan. 6. All Eyes On Us – I will never forget the spiritual feeling I felt in my heart when I took Sloan to church alone for the first time. She was an angel the entire mass, leading up to the special moment when she and I walked down the aisle to receive Holy Eucharist. In those seconds, I felt the entire assembly look at us as we walked toward the priest. It was a surreal moment and I could sense God telling me that I must always love and protect my special girl. This was Sloan and I after that special mass in May. 5. Those First Few Days – After Sidney and Sloan were released from the hospital, we returned home. However, we didn’t go back to an empty house. 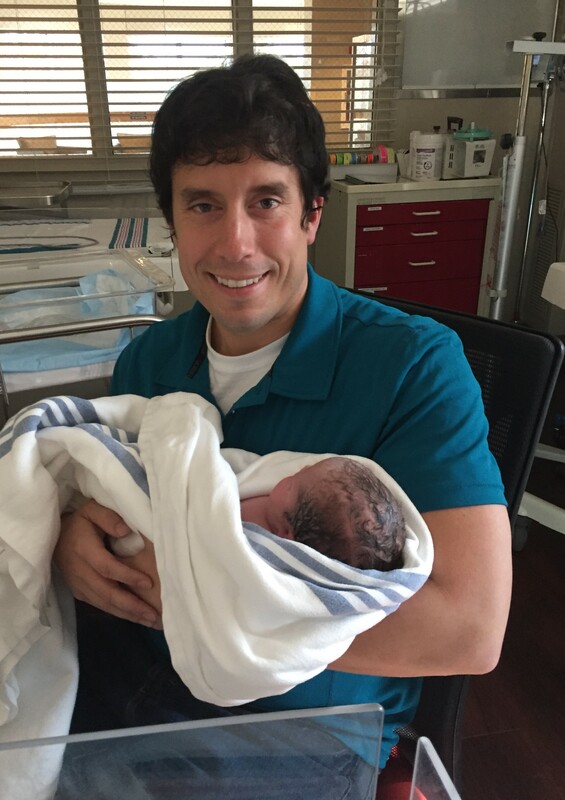 Sidney’s family helped us out for several days as we adjusted to our incredible blessing. We all ate dinners together and my mother-in-law taught me how to care for a baby. Sloan was so warmly welcomed to the Mathis family and I learned so much during those initial days. The early days with Sloan were special. Luckily we had Sid’s family to share them with us. 4. Meet Your West Coast Admirers – In 2017, I didn’t have more fun than I did on July 15. This was when we threw a joint 60th birthday party for my mom and dad. We had a huge party as relatives, neighbors, and friends converged on my parents’ backyard to celebrate. Throughout that afternoon, we were able to showoff Sloan to so many people who up until that point had only seen her in photos. She stole the show and I was so proud. Sloan met close to 60 people that day. 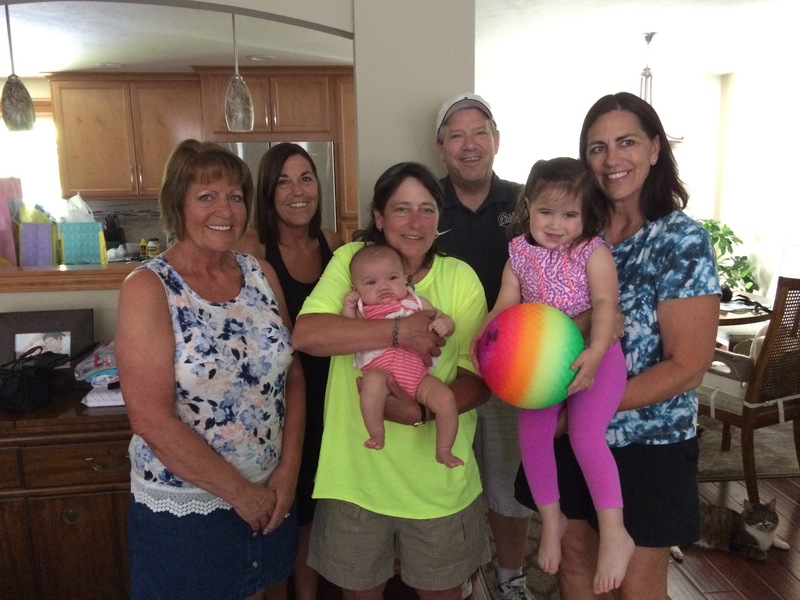 Here is a photo of her with my aunts, my dad, and her cousin. 3. She Really Loves Us – I told a story a few weeks ago about when Sid and I returned from an overnight weekend trip to Charlotte. When we picked up Sloan at our in-law’s house, she greeted us by wildly clapping her hands and smiling ear-to-ear. Nothing is sweeter. Although Sidney and I don’t always get an applause from Sloan when we pick her up from daycare or take her out of her crib in the morning, we always get at least a beautiful little smile that makes us feel so valued and special. We treasure each of these special little moments. Having this face constantly look at us with joy is one of the best parts about being a parent. 2. Sloan’s Baptism – No other moment can beat June 25, 2017. How could it? On that afternoon, Sloan was cleansed of sin and welcomed into the Church. 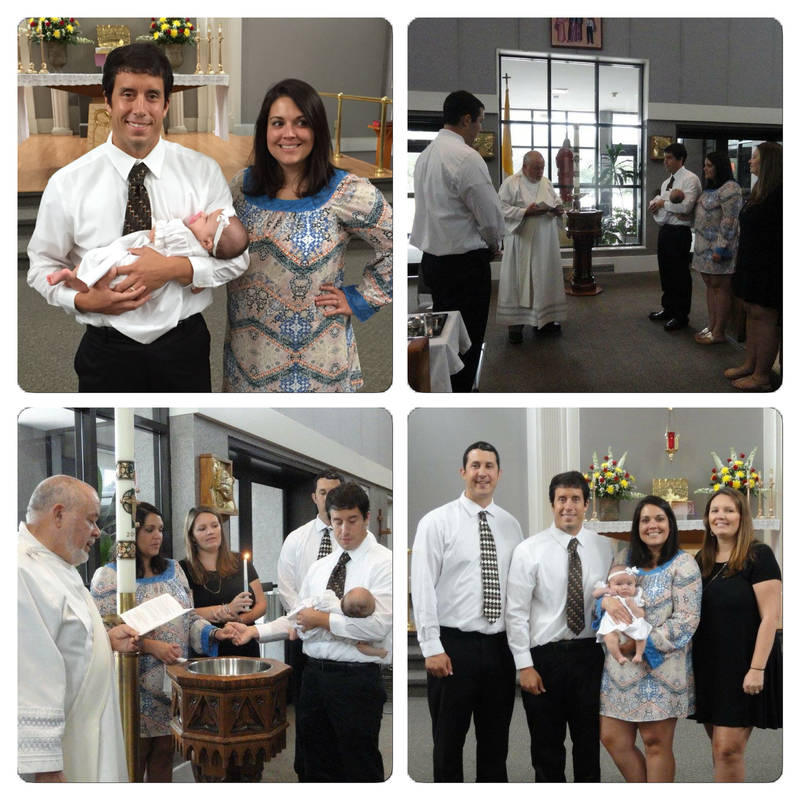 Her baptism took place in front of family and a few close friends. I held her throughout the ceremony and although she was physically light, I felt the weight of the role I now had to play in making sure she grows up to be a child of God. Within that half hour, Sloan’s life changed for the better and I believe the angels sang with happiness. I have moments ingrained in my head from that day and I always replay them when we go to mass at St. Andrew and walk past the baptismal font. 1. Happy Birthday, Sloan! – St. Patrick’s Day no longer stands out in my mind as a time to wear green and to remember the patron saint of Ireland. Rather, it will forever be remembered as the best day of my life (along with when I married Sidney). After a tumultuous labor process, Sloan joined us in this world at 2:44 p.m. on March 17, 2017. Life became more important and I knew I would never be the same person again. Our baby girl was healthy and happy, the absolute greatest blessing in the world. 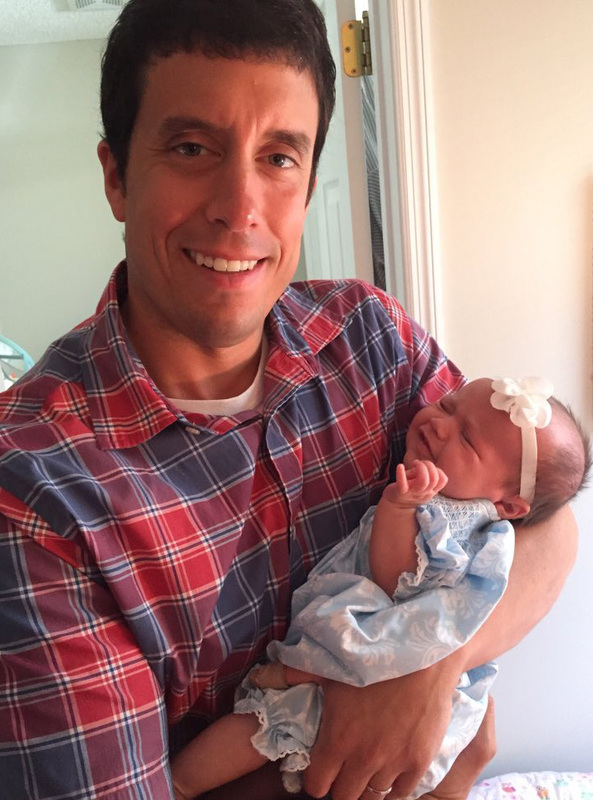 Although no single moment can technically beat her baptism, the numerous moments that came together to produce the center of our world on that March day will never be topped. It has been a year filled with moments we will always hold in our hearts. Thank you, Sloan. I hope you enjoy your birthday week. Don’t Blink.